Cheers to the new Silver-Pin Sommeliers, class of 2017 ! 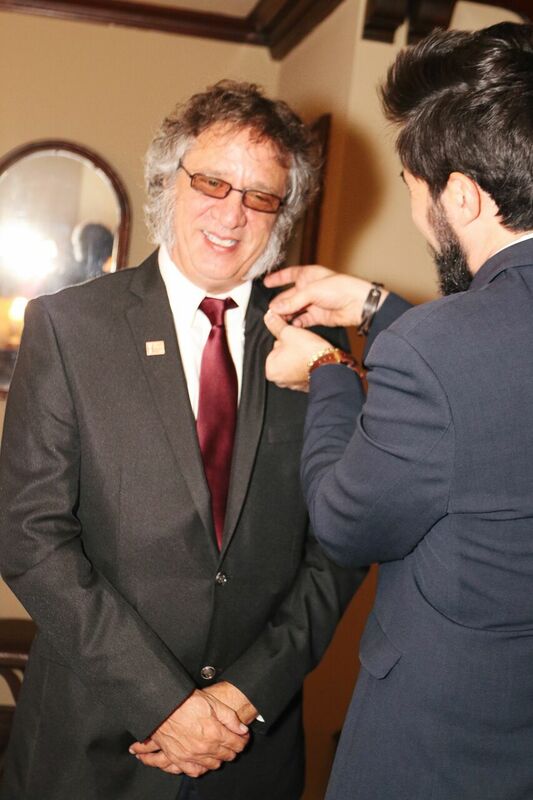 DECEMBER 10th saw the graduation of the new NASA/WSA Silver-Pin Sommeliers class of 2017 in Los Angeles. The ceremony and toast was held at a private events venue (RITA HOUSE) in the heart of West Hollywood, CA, and featured the patronage of top Champagne maison Dom Pérignon, present with a spectacular magnum of Blanc vintage 2006, artfully sabered by NASA President & U.S. Brand Ambassador for DP, Diego Meraviglia, for the pinnacle toast to the new Somms in town ! "You have just bought yourself a whole deal of responsibility. Society will now look up to you to educate people on the ancient culture of wine, alcoholic beverages, fine dining and fine living, as well as the ancient discipline of the Sommelier. Your well-earned Silver Pin is just the beginning as you now have the tools to LEARN about wine and will continuously evolve and grow within the industry. I am proud to now salute you not just as friends, but as colleagues and as brothers of a sturdy and tight knit family. Kudos to you ! "...expressed Meraviglia's opening speech - which was followed by NASA's traditional sabrage of a magnum and delivery of the certificates and the silver-pins to each passing student. Immense gratitude goes out to the NASA Executive Council (VP Nina Sventitsky, Counselor Irina Ponomarenko, Counselor Stacie Hunt and Counselor Ciro Pirone) without whom this would not have been possible and for the tremendous efforts throughout the year, the organization of this spectacular evening and the generous contribution of Rioja DOCa red wines and Cognacs. Thank you to the RITA HOUSE staff for hosting and to Simona Maffei for the event photography. 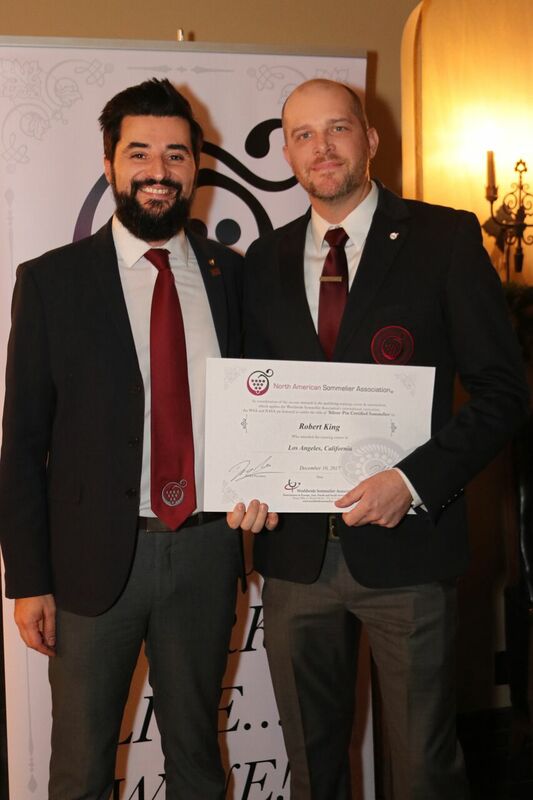 It is with heartfelt respect and love that we at the North American Sommelier Association and the Worldwide Sommelier Association wish to welcome these proud individuals to the list of Silver-Pin Sommeliers around the globe. Here's to you and your bright futures !